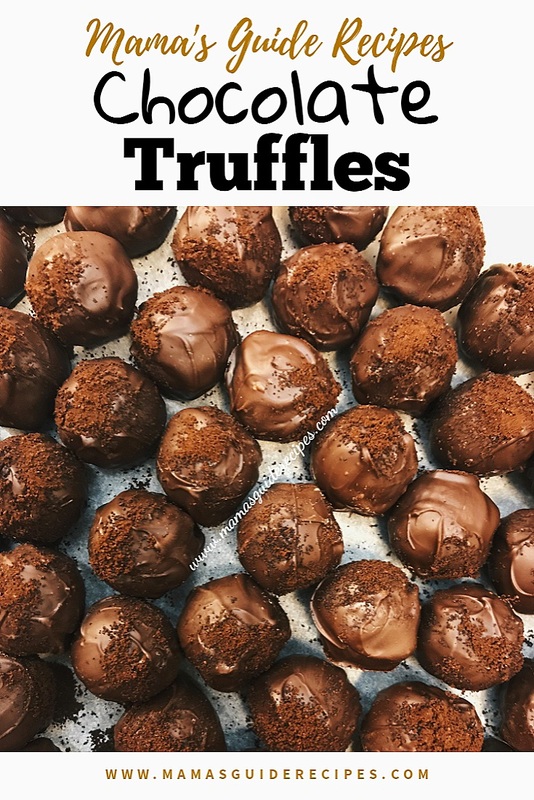 Easy to make Chocolate truffles for Filipino kitchens. Easy to follow instructions and easy to find ingredients. For some of you who doesn’t know where to buy semi sweet chocolates chips. I have some few tips for you. I buy it in SM supermarkets (along the isle of flours, cornstarch, pancakes etc). You may use a double boiler or a microwave oven to melt the chocolate. In a microwave safe bowl, heat chocolate chips at 50% power until chocolate is melted. In a pot of boiling water, place another pot or heat proof bowl or stainless bowl on top. Make sure that the bottom of the 2nd bowl or pot will not touch the boiling water. We only need the partial heat coming from the boiling water. The heat should be controlled, to prevent the chocolate from burning. You need to remove it from heat as soon as the chocolate starts to melt or otherwise the chocolate will be overcooked and turn blackish. Remove from heat and stir in vanilla and sweetened condensed milk. Chill for 2 hours or until mixture is easy to handle. Using a spoon, scoop a portion and shape into 1-inch balls using your palm. Arange on a lined tray. Set aside. Once cool, coat each truffle and dip it into the melted chocolate using a fork. Let excess chocolate drip. Sprinkle in coconut, sprinkles, cocoa or nuts if desired. Transfer into the tray and let it set.